Cutting your grocery bill is a tempting and worthwhile endeavor. Unfortunately, those cheap treats aren’t always as good for your waistline as they are for your budget. In fact, a number of low-cost foods that seem like they should be healthy are actually anything but. Moreover, eating oversized portions of even the healthiest foods can lead to weight gain. You don’t have to give up your favorite snacks to stay fit, but you should practice moderation when making meal choices. And if you want to eat healthy for super cheap, avoid eating too much of these low-cost foods known for packing on the pounds. 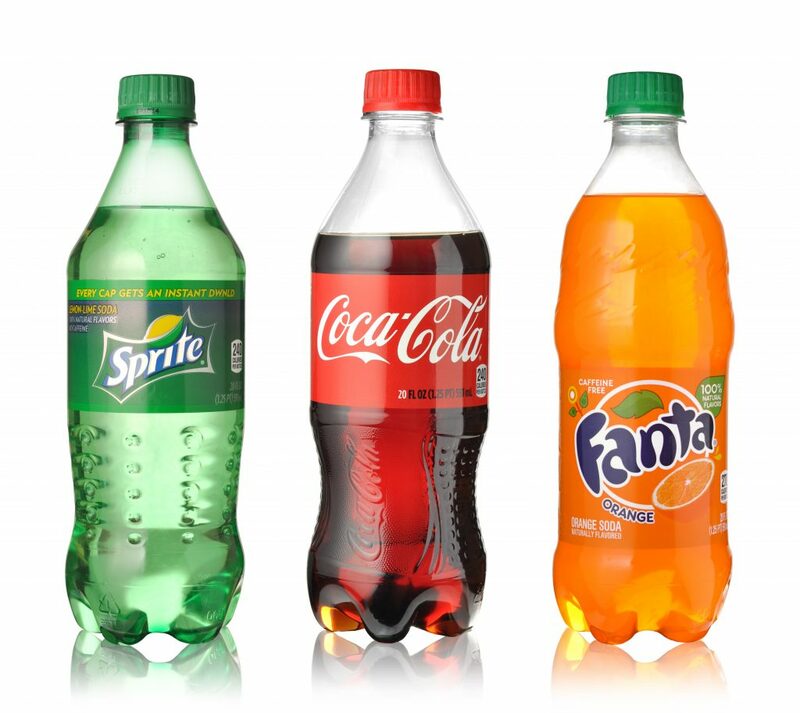 Soda might be the ultimate source of low-nutrient calories. According to a study published in the New England Journal of Medicine, 120,000 men and women who added just one 12-ounce can of soda a day to their normal food intake gained an average of 1 pound of fat every four years. And diet sodas aren’t much better. A study published in the journal Stroke revealed that participants who drank between one and six diet soft drinks a week had an increased risk of both stroke and dementia. Instead of grabbing a soda next time you’re on the go, reach for a bottle of water to stay hydrated. Fruit juice is natural, so you might assume it’s better for you than soda. Although that glass of orange juice does contain a plethora of vitamins and minerals, not everything that’s natural is good for you. The high calorie counts of many popular juices make them damaging to your diet. Believe it or not, a 12-ounce serving of OJ has the same number of calories — a whopping 180 — as three chocolate chip cookies. And according to a recent Atlantic article, juice has just as much sugar as Coke. Nutrition experts have long suspected that sugar is hazardous to our health. According to a recent study in the journal Obesity, children who consumed less processed sugar for just nine days experienced a significant reduction in blood pressure, cholesterol and blood sugar. A number of snack bars have the word “nutrition” on the label — and many don’t deserve it. Because consumers assume nutrition bars are healthy snacking options, they often overindulge in these treats. After all, it’s easier to rationalize eating a nutrition bar every day than a candy bar. However, when portion sizes are equalized, so-called nutrition bars are not so different from their candy aisle counterparts. An average nutrition bar has 200 calories, 8 grams of fat and 11 grams of sugar, while a Snickers candy bar contains 215 calories and 12 grams of fat. If you’re going to include nutrition bars in your diet, treat them like candy. Eat these snacks in moderation, barring any health conditions that require you to limit your sugar intake. If you want to save money on groceries and stock up on satisfying snacks, crackers might be your go-to buy. Crackers and other grain-based snacks aren’t inherently bad for you, but their nutritional profiles can vary widely. For example, a serving of five saltines has about 70 calories, 2 grams of fat, 0 grams of sugar and 135 mg of sodium; whereas a serving of wheat crackers has 140 calories, 5 grams of fat, 4 grams of glucose and 190 milligrams of sodium. Saltines seem like the better choice, but both types of crackers can negatively affect weight loss by causing blood sugar to spike and prompting more cravings. It’s easy to overeat when a snack is salty, crispy and delicious, so stick to the portion sizes provided on the boxes for best results. If you have kids, there’s a good chance they’ve requested cake for breakfast on occasion. And while you probably wouldn’t feed them this sweet treat in the morning, many of us have served up breakfast muffins. However, a look at the nutritional profiles of these two items reveals more similarities than differences. A 5-ounce blueberry breakfast muffin has a whopping 620 calories, 30 grams of fat and 80 grams of carbs; while a 5-ounce piece of chocolate cake with frosting has 520 calories, 23 grams of fat and 77 grams of carbs. Still, you’d be wrong to assume the cake is the healthier choice. In fact, overconsumption of sugar can cause a number of negative effects. According to a study published by JAMA Internal Medicine, individuals who consumed 17 percent to 21 percent of their calories from added sugar had a 38 percent higher chance of cardiovascular death than those who consumed just 8 percent of their daily calories from sugar. For best results, skip the breakfast muffin and opt for some eggs and fruit instead.